While there are almost always two sides to every story, it's difficult to understand the rationale behind the recent decision to suspend a fourth grade student for "threatening" to make a fellow student disappear with a fanciful ring of power referenced in a literary classic. Are we back to the "zero tolerance" days of suspending kids for plastic knives in their lunchboxes? When we will come to a common sense approach to identifying, assessing, and managing kids who exhibit behaviors of concern? This question is easily answered: when we provide adequate threat assessment management training to ALL teachers and administrators. There is an effective, low-cost best practice to determine whether a student poses a substantive threat to himself or others - threat assessment - but few districts have implemented it. As long as untrained administrators react without expertise, support, or apparently common sense, as a nation we will snicker at the antics of school principals and cute little kids, and completely ignore the next school shooter who is begging us to stop him. In the vast majority of cases, students who truly pose a substantive threat to themselves or others exhibited multiple behaviors of concern. According to The Safe School Initiative Report, 93% of school shooters had three or more people who were concerned about their potential for violence. 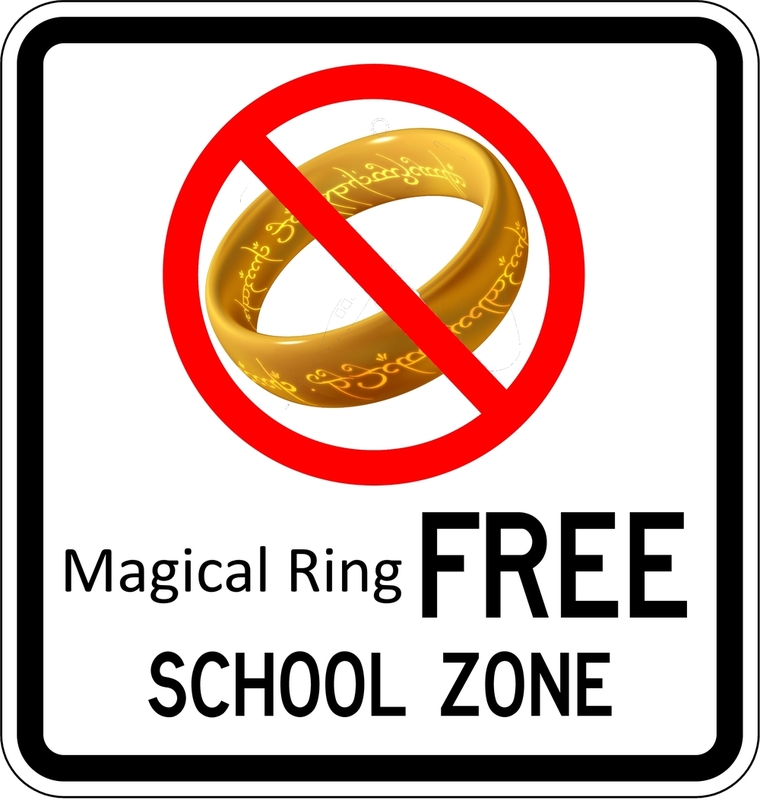 As of this posting, in 0% of American schools is there a danger posed to students by magical rings forged in the fires of Mt Doom.